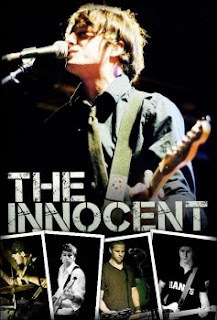 - The Innocent at Bottom Lounge - Fronted by one of our favorite local singer-songwriters, Michael Hardey, the Innocent's hook-filled material falls somewhere in-between Americana and college rock. You can check out a full review of the debut EP here. Also with Inspector Owl, The Part V and Crayolala. 8 p.m., $8, 18 and over. More info and tickets. - The Joans at Schubas - With a musical formula of trashy new wave and garage rock that was devised to channel the spirit (and look) of Joan Crawford, nobody can accuse the Joans of blandness. Also with the Handcuffs and the Wanton Looks. 10 p.m., $8. More info and tickets. - Dead Meadow at Empty Bottle - L.A.-based neo-psychedelia act Dead Meadow released their fifth album, Old Growth, last year, and are currently working on a live release dubbed Three Kings. Also with Follows and the Great Society Mind Destroyers. 10 p.m., $12. More info and tickets. - The Frantic at Metro - Chicago pop-punk. Benefit show for Share Your Soles. Also with State and Madison, the Get Go and the Scissors. 6 p.m., $8 advance, $11 day of show, all ages. More info and tickets. - The Spits at Double Door - Garage punk out of Seattle. Also with Woven Bones and Mother of Tears. 9 p.m., $10 advance, $13 at door. More info and tickets. - Titus Andronicus at Bottom Lounge - Named after the Shakespeare play of the same name, New Jersey's Titus Andronicus have attracted quite a bit of attention with their debut record, The Airing of Grievances, a blend of shoegaze guitars and punk rock spirit. Also with the So So Glos and CoCoComa. 8 p.m., $10 advance, $12 at door, 18 and over. More info and tickets. I've seen The Joans a few times, and last night it was like I was seeing a whole new band. They were more polished and focused than I've ever seen them. Great show! Thanks for the comment. Glad to hear the show was great! Did you get a chance to catch Titus Andronicus on Monday? I wasn't able to but I wanted to know how the show went. Airing of Greivances is one of my personal favorites of late and I've been trying to get to see their live show. Chris - wasn't able to go to the show, unfortunately. I'll let you know if I come across any reviews.